Marissa and her husband rescued Journey in June of 2018. They both wanted a dog, but kept putting it off because of the responsibility. That changed in May of 2018, when Marissa’s husband was robbed at gun point. Animals had always been very comforting to both of them, so they decided it was finally time to grow their family. Long before they rescued Journey though, Marissa’s dream was to ultimately train their dog to be a therapy dog. Marissa noted that she’s watched people open up more, stay calm, and feel safer with a therapy dog around. Marissa and her husband started training Journey at 8 weeks old by teaching her basic commands and socializing her. They brought her anywhere and everywhere dogs were allowed…grocery stores, Home Depot, restaurants, senior homes. They wanted her to get comfortable being around all types of people and in all types of places so she’d be ready to start her training. Around 6 months old, they enrolled her in obedience class, which is the first step to getting your animal certified. Now, they are currently in the second step of the process. In two weeks Journey will have to pass her good citizenship class, which is known to be pretty difficult for most dogs to do on the first try. After that, Marissa and her husband will go through a weekend-long training to be a therapy dog handler, and then Journey is on to her final step – therapy dog training with Intermountain Therapy Animals. Animals can create safe spaces, and in human trafficking cases, safety is a necessity for healing. 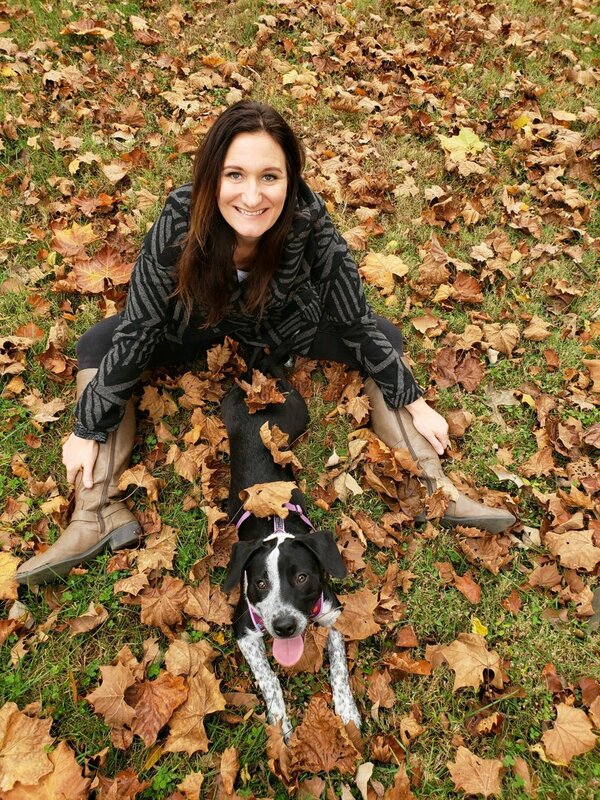 We, as individuals who work with human trafficking survivors and their trauma, are thankful for the magic that therapy dogs provide, and even more thankful that one of our staff members is actively working to bring that magic to the survivors here at End Slavery Tennessee. Newer PostWhat Do Easter and End Slavery Tennessee Have in Common?